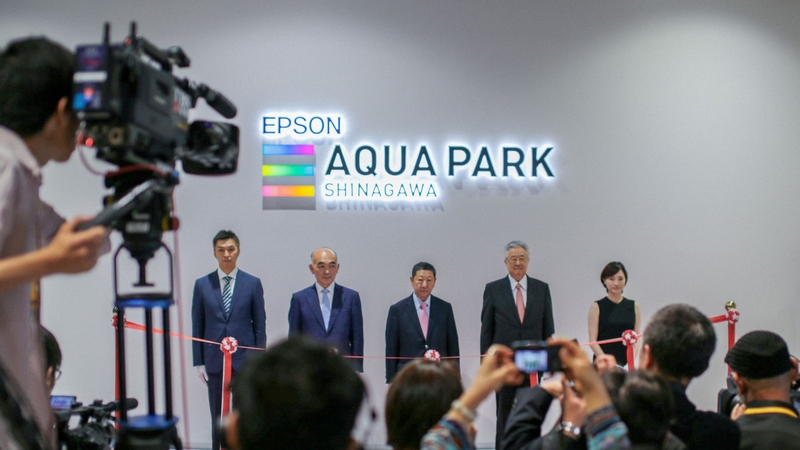 Aqua Park Shinagawa | 3D | Blog | Akari, Inc. 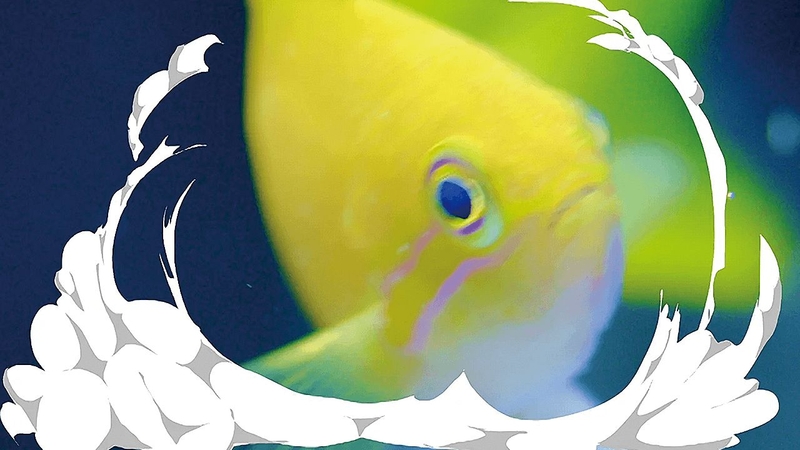 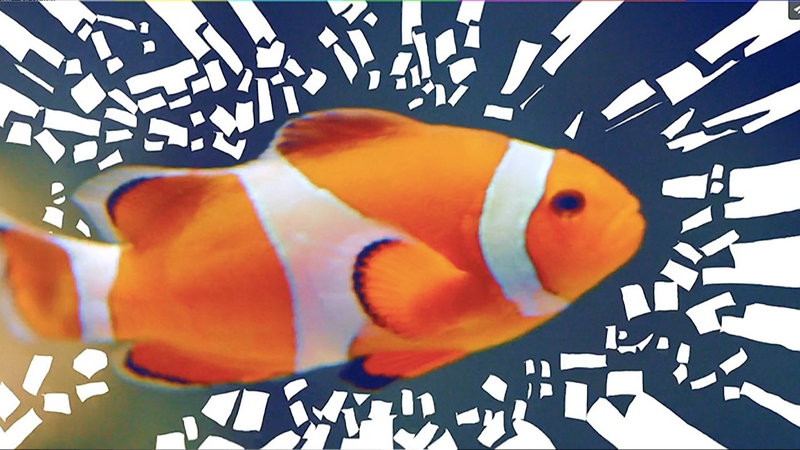 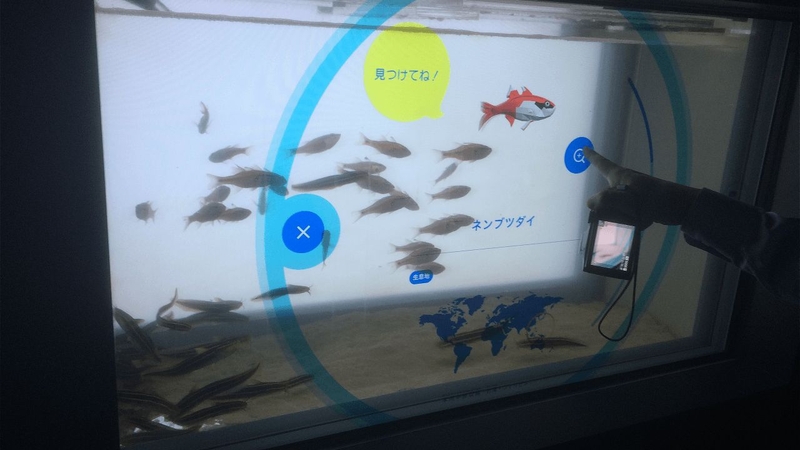 In 2015, Aqua Park Shinagawa renovated their aquarium into an entertainment world combining sound, lights and visuals with living sea creatures. 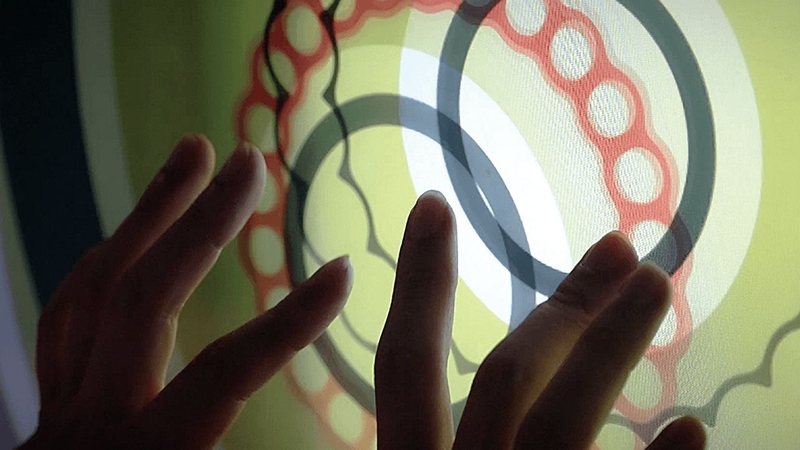 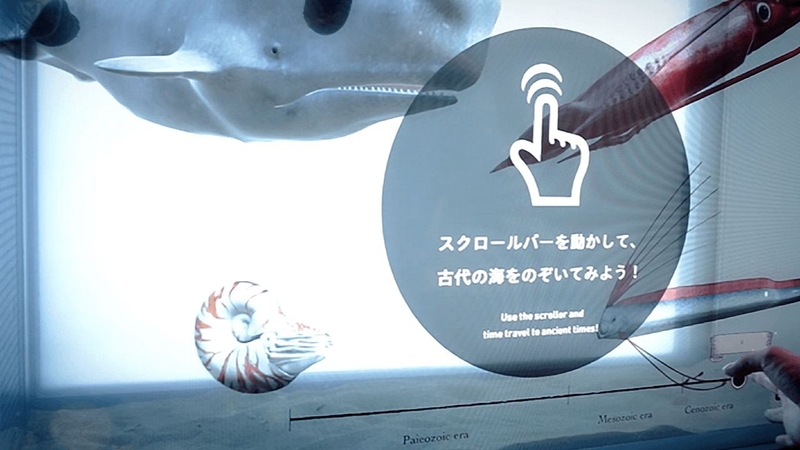 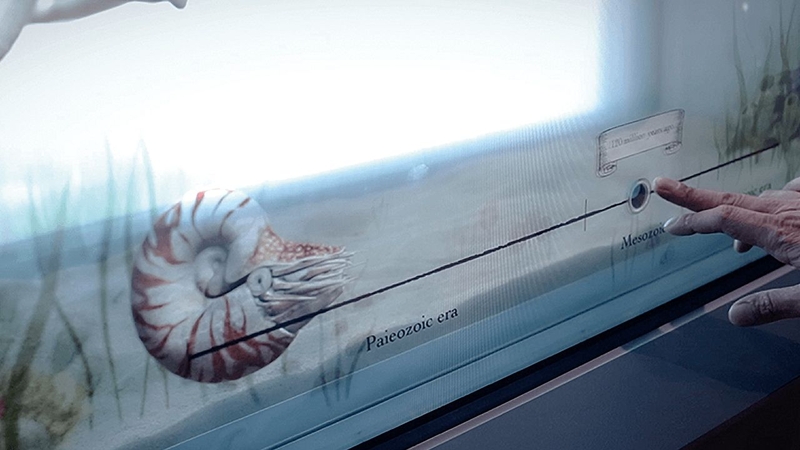 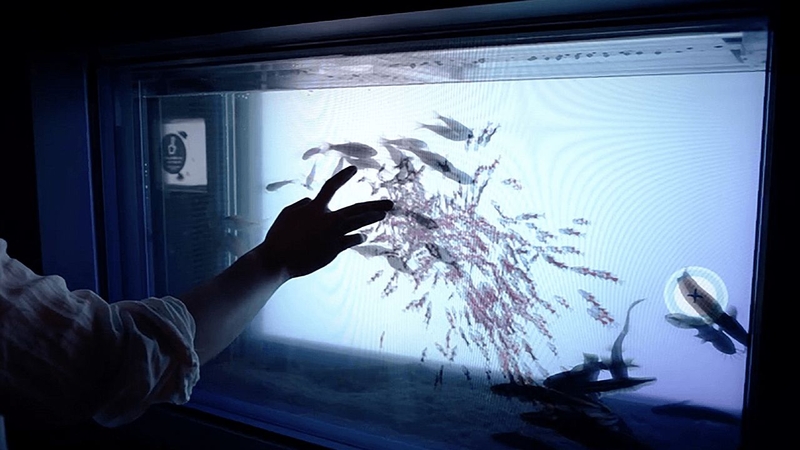 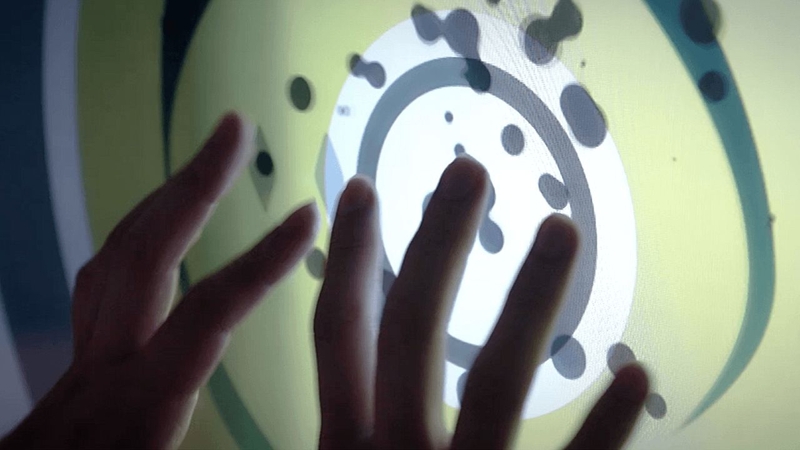 Akari created a translucent multi-touch display where visitors can interact real time with creatures inside the aquarium. 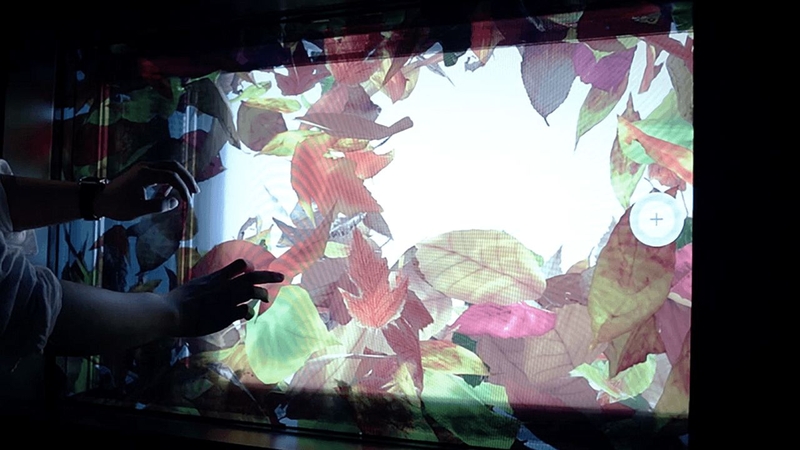 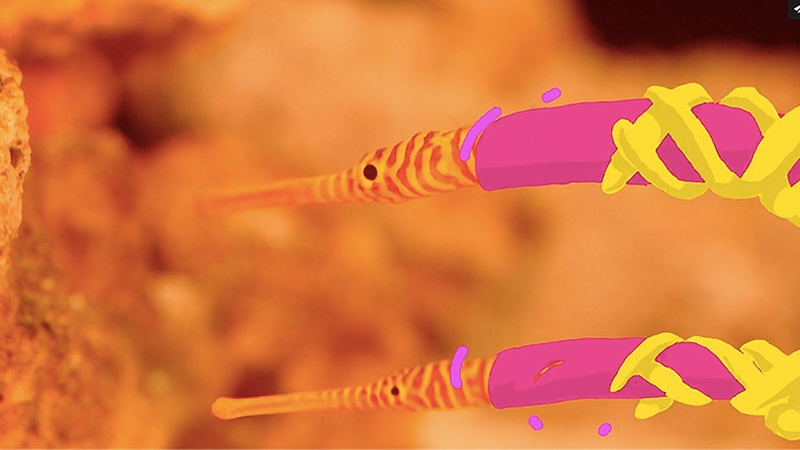 Alongside the aquarium tank, we directed and created the projected visual content inside the aquarium. 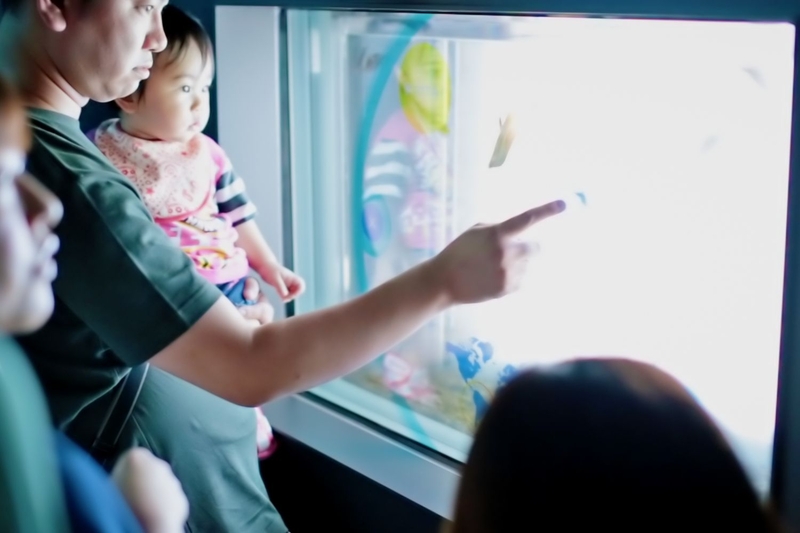 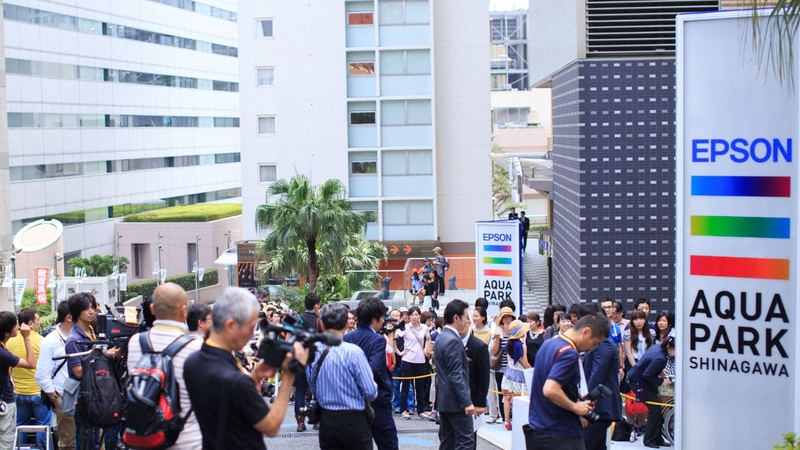 The Shinagawa Aqua Stadium was a loved aquarium, popular for being close to Shinagawa station. 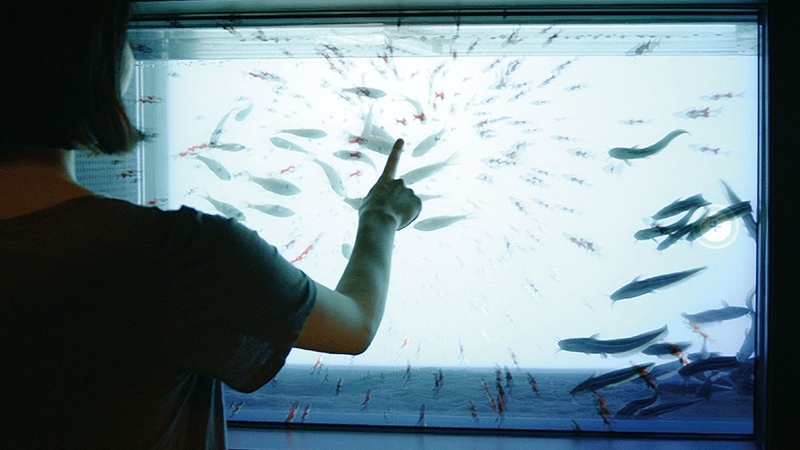 The project started in 2015, when we received a request to renovate the aquarium into an entertainment facility that combines light, sound, and other visuals with sea creatures. 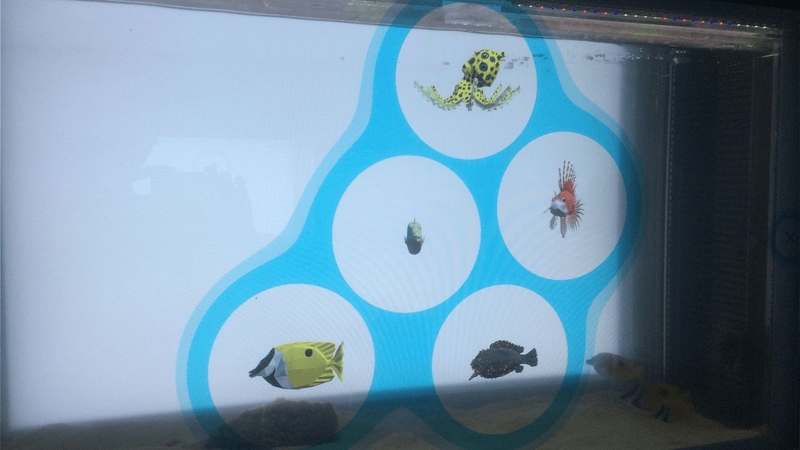 Being an aquarium, we were aware there would be a wide variety of visitors. 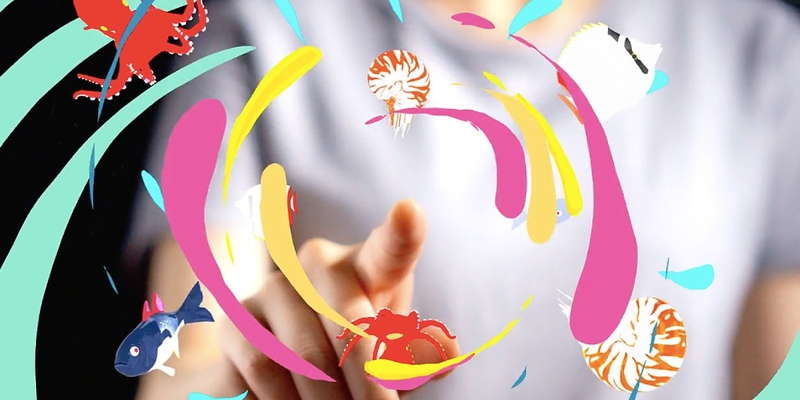 It was important to us to create something that would be entertaining to children as well as parents. 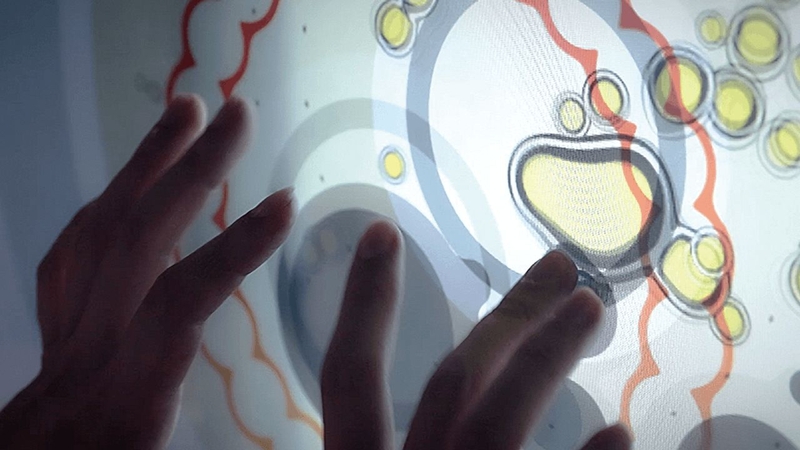 We imagined an illustrated encyclopedia from the future, and developed a multi-touch translucent display. 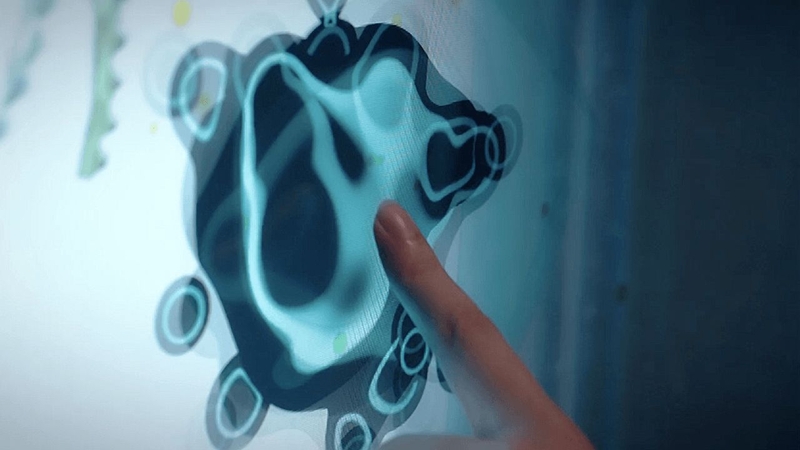 The 8 different touch panels placed in 8 locations named the 'magical areas' are all different, and visitors can get a unique experience with each one.